John Bledsoe attended North Texas State University and holds a Master of Science in Financial Services (MSFS) from the American College. John is active in his church and community. 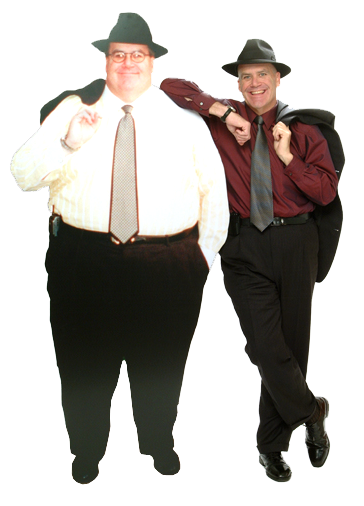 Transforming his life inside and out, John has "downsized" physically by losing over 200 pounds during 2001! He draws powerful correlations between this significant accomplishment and his work along the road of success. Most importantly John has maintained this substantial weight loss to this day! In Bledsoe's extensive work as an estate planner for some of America's wealthiest individuals, he is considered the expert on the super wealthy. For the preparation of his upcoming book, One Turn Away, he interviewed over 100 people; each with a net worth of over 100 million dollars. In his writing and speaking, he reveals his discoveries of the common factors and secrets of the super wealthy; and relates it to how we can all achieve a greater success in our lives, both personally and financially. John Bledsoe knows what it takes to sell, because he's done it and continues to do it! John has been a top producer from the beginning of his career, including qualifying every year for MDRT's esteemed "Top of the Table." This represents the top one fourth of one percent in the financial industry. Drawing upon more than 19 years of successful experience in the Financial Services industry, John Bledsoe has developed an influential and powerful reputation throughout the nation. John serves as consultant to several of the largest securities and insurance companies in the nation. He has written over 1,000 financial articles for newspapers and magazines, and has authored four books Rock Solid Estate Planning, Texas Living Trust, Roth to Riches, and The Gospel of Roth.